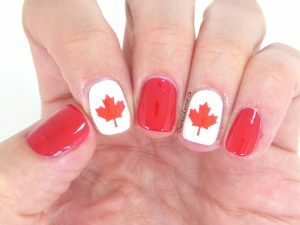 What are you doing today to celebrate Canada’s 150th birthday? We’re still undecided. It’s supposed to rain so we will wait and see. I did do my nail to celebrate the occasion though, here’s what I did! 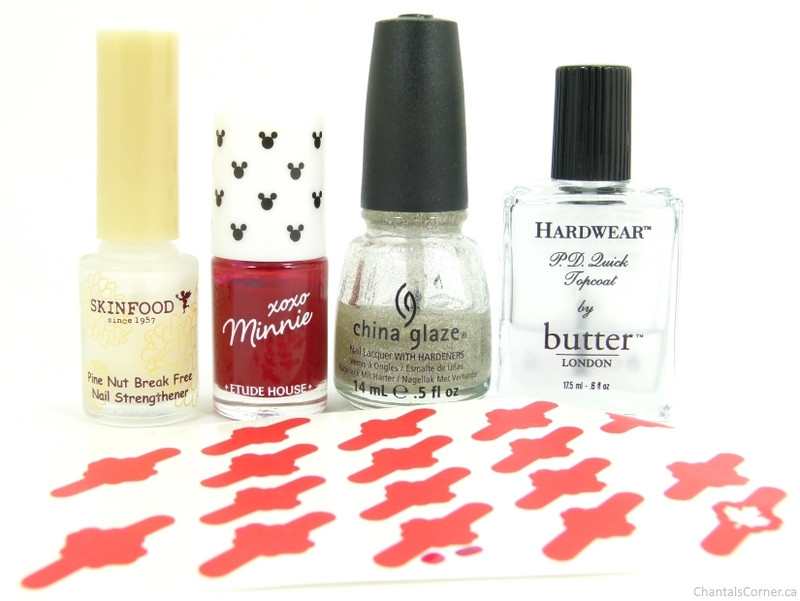 Red: Etude House Minnie Red – one of my favourite red! I always start with a base coat, then I followed with two coats of Minnie Red on all nails except for my ring fingers. 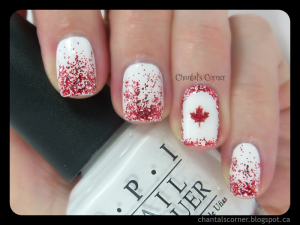 Those I left bare and used the nail vinyls to paint in the maple leaf with one not-too-thick coat of Minnie Red. I actually did this one twice. The first time I went too thick with my nail polish and when I removed the stencil it just kind of blobbed out of the leaf. So I wiped my nail and started over with a thinner coat. 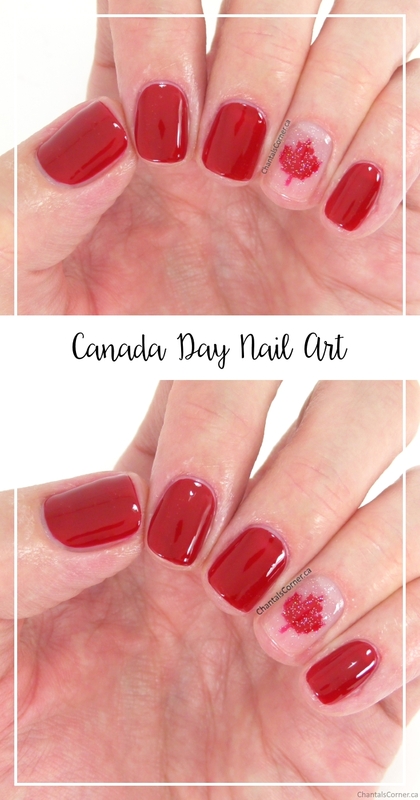 It’s important to remove the stencil when the nail polish is still wet because if it dries you could pull the nail polish off with the stencil when you remove it, or bits of it around the edges. Once that was done I added a good layer of top coat over all fingers, and voilà! I wasn’t sure how this would turn out with the red on my natural nail colour – if it would show well, but I’m really happy with the result! 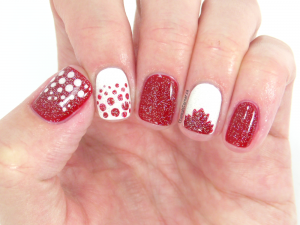 Did you do special nail art for today?